Listen in on a great discussion about Integrated Marketing. Joe believes marketing (and economics) are about the audience and never about you. Find out how a Government Major ended up in B2B Marketing and if he cares about events like Webinar World making money or not. Listen to the end to learn who has inspired and influenced Joe in his marketing career. 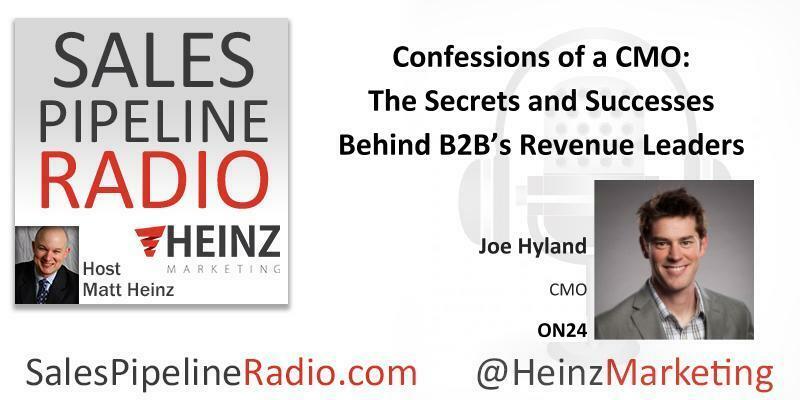 You can also read the transcript (and listen to this episode) on the Heinz Marketing Blog starting Mon. 3/5/18.